Delivery to Uzbekistan: a quick calculation, excellent performance, excellent price! in 2012 an increase of 12.6%, 2013 — 12.9%. Ten billion dollars — an impressive figure; however, turnover, expressed in tonnes, is even more impressive: the delivery of cargo in all modes of transport Uzbekistan for last year amounted to 1.0957 billion tons. What is remarkable; each of these tones had to be issued in accordance with one of the following standards: DAT, FCA CIP, DAF, DAP, CPT (at customs for export to Uzbekistan using Form ST-1). Given the volumes — great work! But when it is taken for experts in the logistic field — «customs technologies group», the distances are reduced, the CIS service runs on time, and each customer receives a personalized range of services. We’ll show you how best to deliver to Uzbekistan! We deliver commercial goods and equipment to Uzbekistan for a good market price and best transit timings. You successfully develop your business, but it does not mean that in matters of delivery you are also a professional!. Why risk and speculate about how best to send the goods to Uzbekistan, if you can contact the experts with years of experience in this area? We not only tell you what type of transport is better to send your goods, and organize all the necessary logistic works only for you — independent way of trial and error, or a guarantee of quality and success with the professionals. Depending on the characteristics of the goods, the customer requirements for delivery terms (travel time, storage conditions) experts from «customs technologies» carefully develop individual logistics scheme for each case. Years of experience and knowledge of the nuances of export in this field enables us to find optimal solutions. 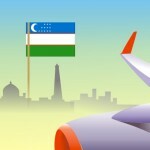 LCL to Uzbekistan (weekly LCL services). Our company delivers not only to Uzbekistan capital city but also in various other cities! We deliver in Tashkent, Navoi, Bukhara, Termez, Nukus, Urgench, Karshi, Ferghana, Andzhidan, Namangan. We will deliver the goods in Tashkent in any convenient way! It is not surprising that the majority of goods are sent to the capital of Uzbekistan. That is why the delivery and execution of transport in Tashkent is given special attention. If you are interested in this particular destination, we are sure to pay attention to our rates. Trying to provide favorable and comfortable conditions for cooperation, the company «Customs technologies» offers its services at reasonable and fair prices (tariffs), as you can see for yourself. High speed, unfailing punctuality and reasonable price — these are the main qualities that guide the work of all employees. We solve any issues related to shipping and handling at the stage of your project planning, so the probability of its implementation force majeure is practically reduced to zero. Call us, and please consult — we will deliver your goods to Uzbekistan.